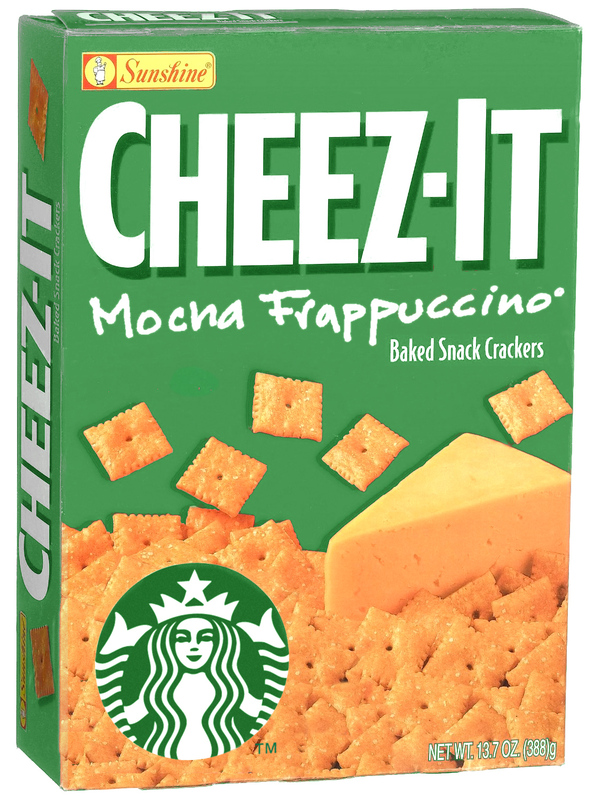 Mocha Frappuccino Cheez-It Crackers: Coming soon to a supermarket near you. Cheez-It Crackers piss me off sometimes. Don’t get me wrong: they’re delicious. But there are too many kinds. Go to your local supermarket, and you’ll find half an aisle of them. Just out of curiosity, I went to the Cheez-It website. It lists 20 varieties of crackers, two kinds of snack mixes and another 10 discontinued types of crackers. I can’t even think about all of these varieties without wondering about the squandered innovation and creativity. 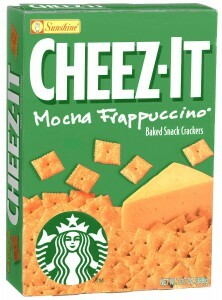 It’s not just Cheez-Its either. Look at how many kinds of Campbell’s Soup there are, how many flavors of Doritos. And worst of all, how many brands of breakfast cereal. All of these make me wonder about our priorities as a nation — and as a species. I don’t think that everyone needs to be working on world peace or a cure for cancer, but can’t we make better use of our collective brainpower? After all, how many kinds of Cheez-Its do we need? I know I shouldn’t complain too much about snack cracker varieties. There are much bigger problems in the world, but that’s my whole point. It seems like we should be thinking of ways to make our food more healthy, instead of just thinking up new varieties and flavors. Cheez-Its are delicious, but as a society, we need to move on.